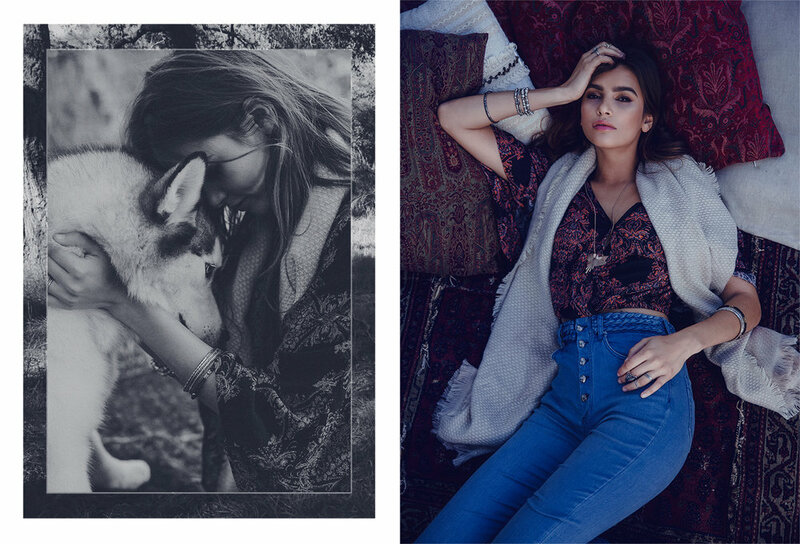 ThreadSence, a boho lifestyle brand that mixes art & music with fashion. To create a unique, on-brand Winter Lookbook in an outdoor setting. To create “Call of the Wild”, we mixed winter textures, prints, and colors with a rustic & wild setting - we were really drawn and inspired by the juxtaposition. We cast top model Karina Nichols, because she truly captures that natural, wild vibe we needed. To take it to the next level, we wanted to give the lookbook a more artistic feel, so we added graphic elements that really made the images extra special. The photography focused on capturing the winter pieces pop against the natural elements of the backdrop. 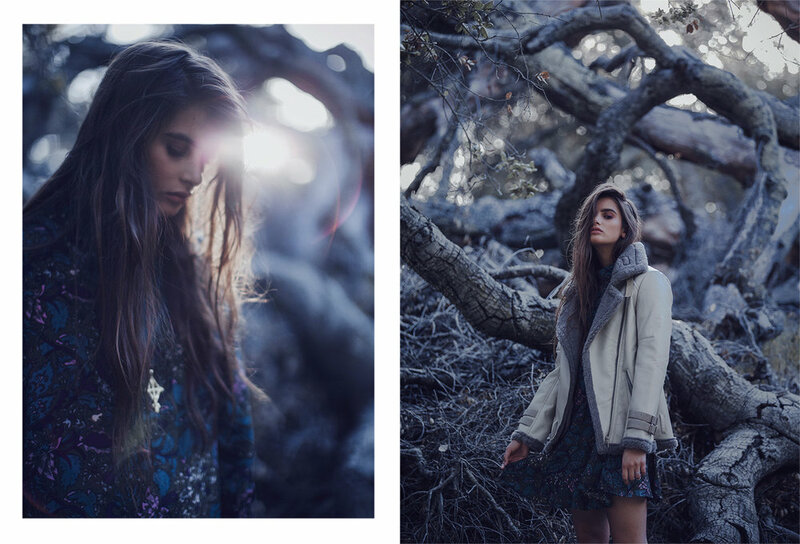 We wanted to keep the overall feel moody with more muted colors to capture the essence of winter. 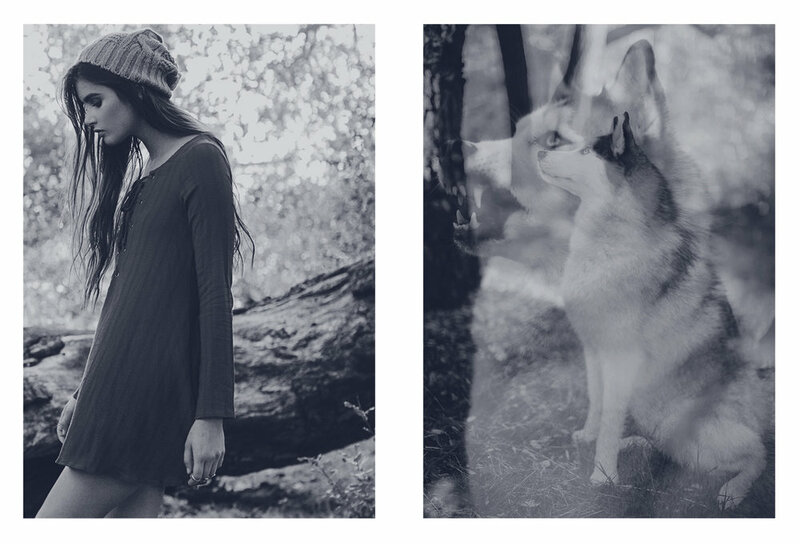 The lookbook film allowed us showcase the movement of the clothes and the journey throughout the wild. We also used graphics & video effects to give that artsy feel and to create a seamless experience.